There’s a reason the story of a vampire father learning to love his vampire daughter while running a hotel full of outlandish monster guests—as seen in 2012’s Hotel Transylvania—is so timeless: It’s a story everybody can relate to. 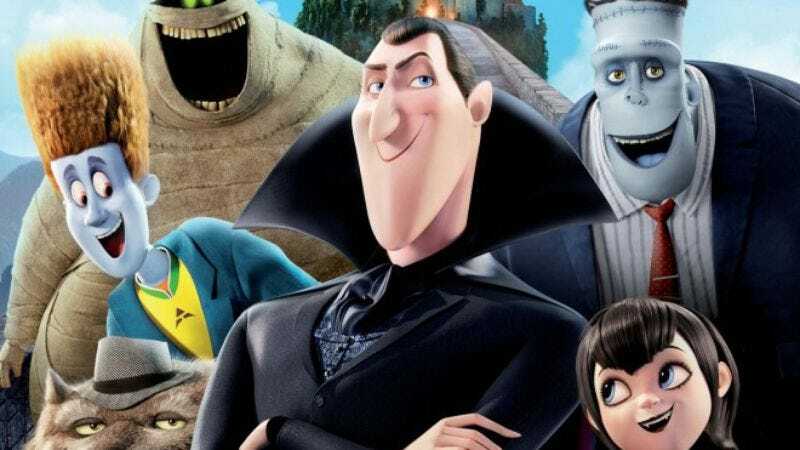 Luckily, the adventures of Adam Sandler’s befuddled hotel manager/undead blood-sucking demon will no longer be confined to only one movie, as Sony Pictures Animation has announced a sequel to Hotel Transylvania. The new film will also feature the return of director Genndy Tartakovsky. Someone at Sony is apparently a fan of Tartakovsky’s excellent Dexter’s Laboratory and Samurai Jack cartoons, because the studio has also put him in charge of a haven’t-we-done-this-already Popeye movie and an original project tentatively titled Can You Imagine?. This is according to The Hollywood Reporter, which also says that Sony is working on a new all-animated Smurfs movie. (Sorry, Neil Patrick Harris.) The project will be helmed by Kelly Asbury, who also directed Shrek 2 and Gnomeo & Juliet. The article suggests that it will be a prequel, though it doesn’t say whether or not it will exist in the same continuity as the previous Smurfs movies. With its all-animated cast, however, this could finally be the movie that purist Smurfs fans (assuming there are such fans) have wanted for the last 20-odd years. Smurfs: The Phantom Menace is set to for release on August 14, 2015, while Hotel Transylvania 2 will be coming September 25, 2015 (right in the middle of summer’s prime hotel season and fall’s prime Transylvania season).